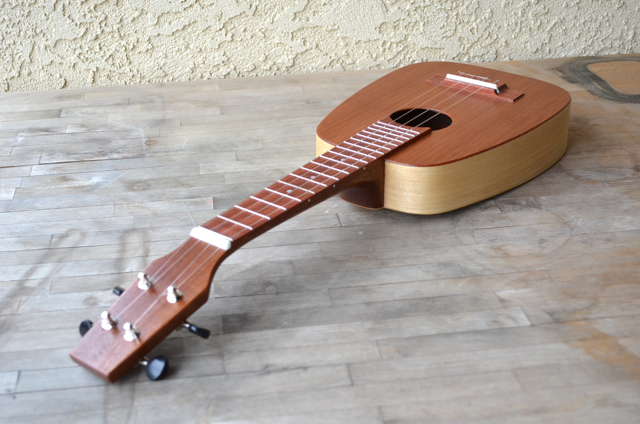 Ukulele Voyager is a simple understated instrument. She’s all you need. 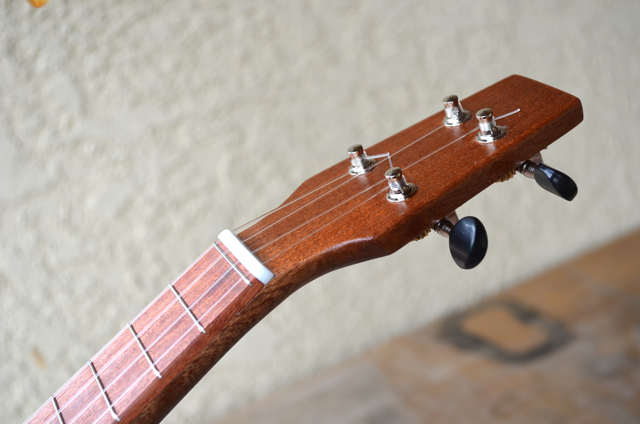 Wonderful tone, lightweight, excellent balance, a comfort neck. 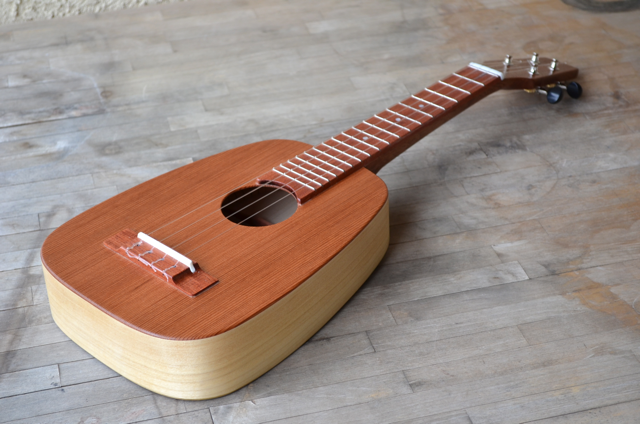 She is an ukulele in it’s most basic form. Simplify. Simplify. Nothing fancy here. No electronics, no embellishments… just nice clean tone, a simple understated look and a lifelong companion to take with you on your voyages. 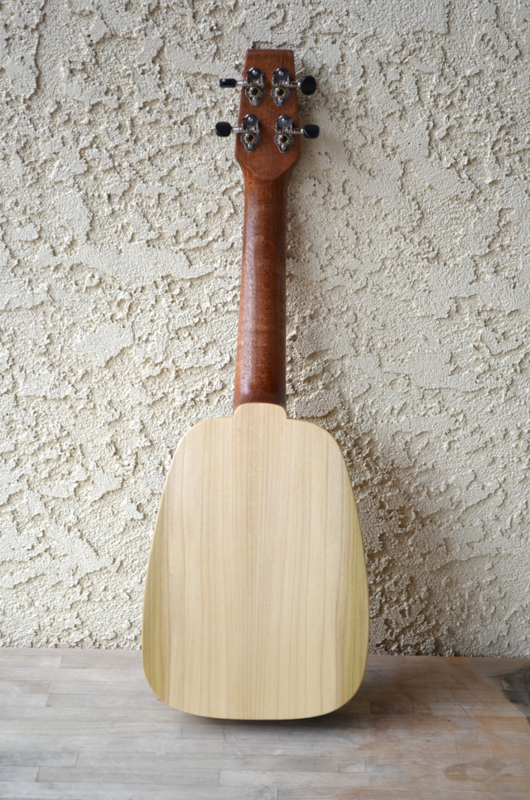 Poplar back and sides. Sustainable, great tone, and oddly tinged in green. She’s a subtle salute to the Earth. 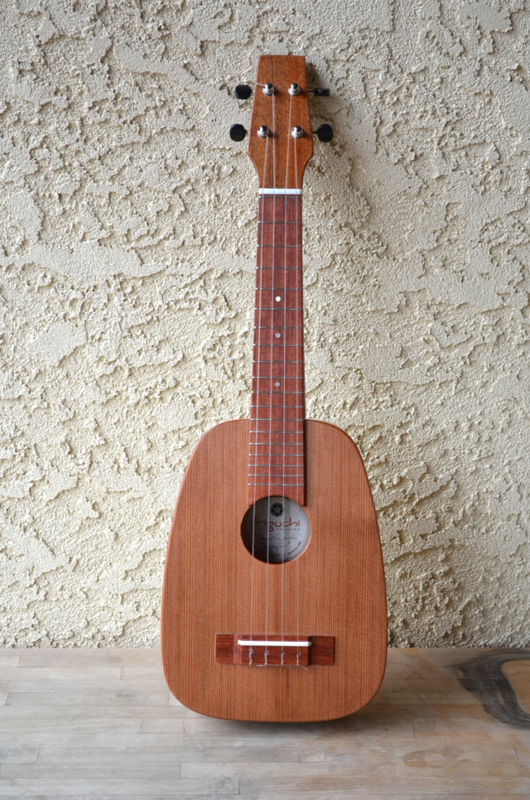 Sapele neck, zero fret, and simple woods that will age beautifully.